Our Media Press Trafic System 2.0 is combining the power of online news outlets, Facebook, Twitter, search engines and yellow pages type business catalogs to deliver targeted (people interested in what you offer on your website) real human visitors. Besides the minimum traffic guarantee there are several, positive, side effects. In maximum 60 days after order start date, cumulative. To target the exact segment of customers that are interested in your website offer. On-Site and Off-Site SEO analysis. Keyword research. 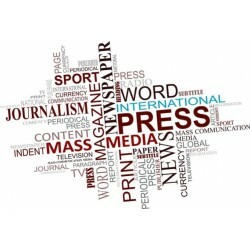 SBWire, PrBuzz and more press news distribution websites. Split promotion on high volume followers social media accounts. Promotion on 100+ related topic blogs for the published news articles. Get published in related business catalogs. Only high quality, established catalogs. World class level support for all your questions and suggestions. Our Media Press Trafic System 2.0 will create many online signals, from multiple sources. Business and SEO Analysis is required to be sure this signals are consistent and matching your website/business requirements. For example, if you sell roof repairs in New York we make sure we get a large percentage of visitors from New York and your rank higher for "New York Roof Repair" type of search phrases. Important : everything that we create is done on high quality websites, with very good metrics, indexed by Google, hosted on different IP's (no link farms), owned by different individuals. Guarantees : If we fail to accomplish the following targets then we will refund you in full : We will provide exact locations for 40+ press release locations, in maximum 40 days after order start. Minimum 4,000 Human Visitors, in maximum 60 days after order start date, cumulative. 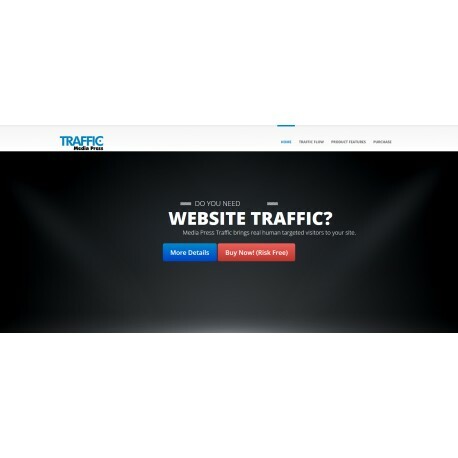 after many tests with different products this was the one that was the game changer, improved positions in search engine results and visitors from search and social media. thank you! i got this from you other website presstraffic.com, there are more details there that are missing here, especially the minimum 4000 visitors guarantee!